I strive to create meaningful connections for users through a strategic approach within the digital space. My role as a product designer utilized all my skill sets for a micro product. My role as an art director utilized my skill set for a macro brand. By fulfilling both roles, I am an adaptive creative resource. I enjoy coming up with creative and strategic solutions, then executing them with collaborative team. In the picture below I am brainstorming business solutions for common problems of a Rodan + Fields Consultant come across. Also shown here is the ideation process. I am contributing ideas focused on innovative services and digital products to support a more profitable platform for a Rodan + Fields Consultant. Below is a version the design process. After working on several teams from corporate to start up infrastructures, this design process is often used as a tool to achieve the end goal. Understand and Educate is the phase to do research and educate your team of your findings. Observe is the phase where the designer will take a closer look at common and uncommon behaviors. Define is the phase where the designer is focused on the needs and understanding the problem. 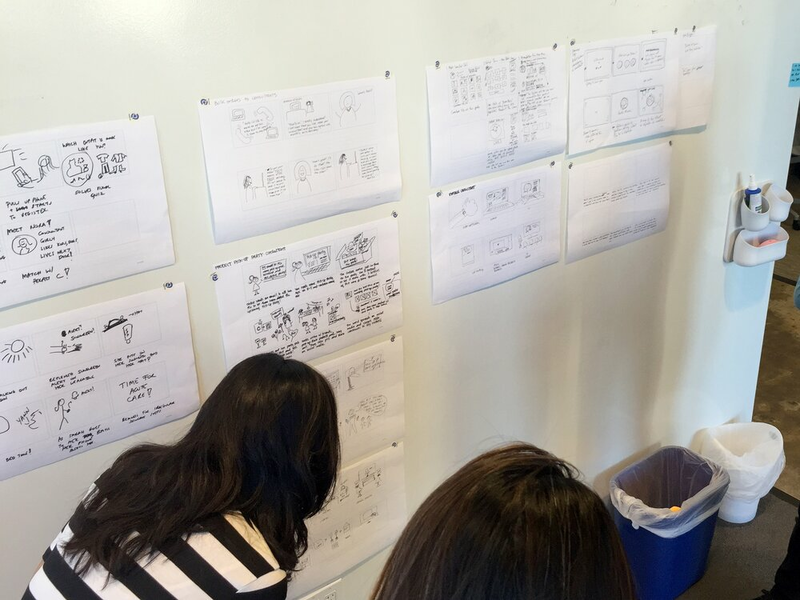 Ideate is the phase where designers will brainstorm and problem solve. Prototype is the phase where designers will create a sample products to test. Test and Analyze is the phase where designers take the sample product in a closed setting to test performance and analyze findings to improve on the next iteration. Testimonial from my previous boss. Appreciation goes a long way.